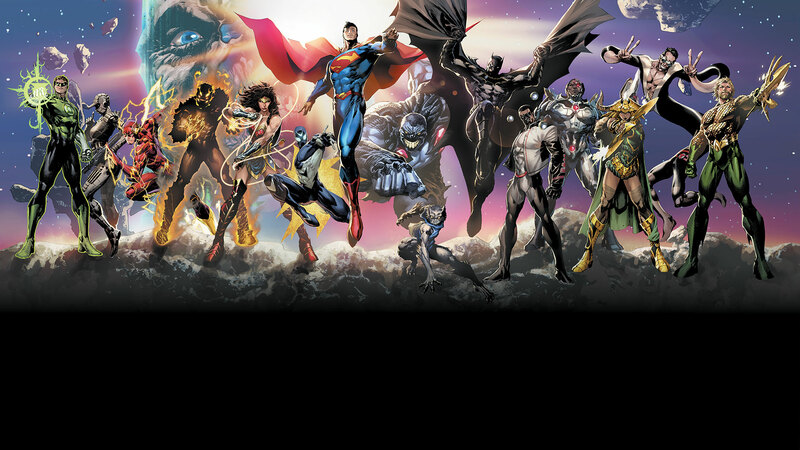 THE DC UNIVERSE JUST GOT BIGGER! Starting in January, DC introduces a bold new line of comics starring a thrilling array of heroes— some you already know, some you may have glimpsed in the pages of DARK NIGHTS: METAL. They embody a spirit of epic adventure and bravery—the kind you may remember from another era, but updated in an exciting way for today! These new titles are illustrated by DC’s Master Class of artists, including legendary names like Jim Lee, Andy Kubert, John Romita Jr., Tony S. Daniel, Ivan Reis, Ryan Sook, Philip Tan and Kenneth Rocafort. And they are written by some of comics’ biggest names, including Scott Snyder, Jeff Lemire, Dan Abnett, James Tynion IV, Robert Venditti, Steve Orlando, Justin Jordan and Dan DiDio. Tasked as the government’s own living, breathing ticking time bomb, Ethan retains no control when the monster takes over. The beast is cheaper than a nuclear warhead and twice as effective, and Ethan fights to rein in the damage he unleashes when it springs free for one hour a day. With everyone around him in danger, Ethan struggles to contain the DAMAGE he inflicts on the DC Universe. She’s one of the DC Universe’s deadliest assassins…and you’ve never heard of her. Super-strong, highly trained, armed with devastating and stealthy metahuman abilities, the Silencer is virtually invincible. Or at least she was. After decades as Leviathan’s chief assassin, Honor Guest put in her time and managed to get out with her skin intact. Now she lives a normal life with a normal family in a normal house on a normal street. But the past has come back to haunt her in the form of her old employer and a deadly new mission...and Talia Al Ghul won’t take no for an answer. There is a secret history to the DC Universe of heroes who have protected humanity from the shadows since the dawn of time…heroes who can live forever. Enter the Immortal Men! The team, headed by the Immortal Man, has waged a secret war against the House of Conquest for countless years—but Conquest has dealt a devastating blow. When their base of operations, known as the Campus, is savagely attacked, the Immortal Men must seek out their last hope—an emerging metahuman known as Caden Park! Caden’s emerging powers may be able to ensure the Immortal Men’s survival—but will Conquest get to him first? Joe Chamberlain is not just your average kid trying to get by in his chewed up and forgotten small town of York Hill—he also unknowingly made a deal with the devil that cursed him into BRIMSTONE! Now with the power of fire and destruction in the palms of his hands, Brimstone can turn his town around and seek revenge on the devil who cursed him—but in order to maintain his heroic form, Joe has to endure every second of the fiery pain burning from the inside out! THE UNEXPECTED orbits around a group of heroes who yearn to show the world that they’re more than the sum of their past mistakes. It centers in on something we all face every day, wrestling with our pasts and the compromises we’ve made. THE UNEXPECTED is offering a second chance for these heroes, even if they don’t all know they want one.